^ Charles Messier's Catalog of Nebulae and Star Clusters. SEDS. 12 August 2011 [2014-05-17]. 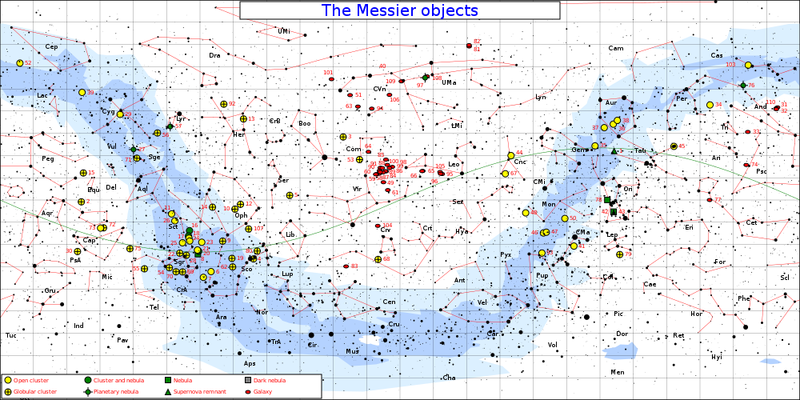 ^ The Messier Catalog. SEDS Messier Database. SEDS. 25 February 2008 [2010-05-08]. ^ Birthday of a star cluster. Astronomy Now. January 2011: 20. ^ Patrick Moore. The Guinness Book of Astronomy. Guinness Superlatives. 1979. ISBN 0-900424-76-1. ^ Charles Messier. Catalogue des Nébuleuses & des amas d'Étoiles. Connaissance des Temps for 1784. 1781: 227–267. ^ Original Messier Catalog of 1781. Original Messier Catalog of 1781. SEDS. [2014-05-17].